Driving independently for the first time after passing your test can seem daunting. This will also be the first time that you’re allowed to drive without your instructor or another person with a full licence in the passenger seat! If you have an Autism Spectrum Disorder (ASD) there are options to help you with financing your new skill; as well as some generic information on how to handle potentially dangerous situations. It’s vital to note that no two people that have ASD will experience it in the same way, and that everyone will have varying behaviours, traits, characteristics and needs. So, we can’t promise that everything in this article will apply to you, and we can’t generalise information to such a diverse population. However, this basic information may aid your knowledge of driving with ASD, and maybe even help you get started. If you receive the higher rate of the mobility component of the Personal Independence Payment (PIP), then you’re eligible to join the Motability scheme. This means that your higher rate will be paid directly to Motability, and you can lease or purchase a vehicle through the scheme. You will also be eligible for free road tax with this scheme. NOTE: You only have to notify the DVLA of your ASD if it affects your ability to drive safely. If you don’t disclose this information, you could be fined up to £1,000 and be prosecuted if you’re involved in an accident. If driving with ASD could be hindered by any of the above, you must tell the DVLA – more information on this can be found here. You may also be able to get your vehicle adapted to suit your needs through Motability’s service. So, if any of the above elements of safe driving would make driving with ASD difficult, your car could be adjusted to solve this. The Blue Badge scheme is designed to give individuals who have disabilities various parking concessions and privileges. This includes being able to park in disabled bays, on some single and double yellow lines, and fewer restrictions on parking time limits. The scheme is currently available throughout England, Wales, Scotland, and Northern Ireland. However a few London boroughs only partially recognise the scheme, so check with your local council when you apply. The badges are issued by local authorities/councils (or by TransportNI if you live in Northern Ireland). Your local council will decide on the entitlement of a Blue Badge, and will also be the organisation to contact if you have any queries. The Disability Discrimination Act 2005 makes it illegal for insurers to refuse cover to anyone with ASD on the grounds of a disability. 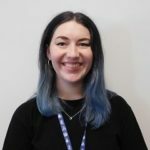 Also, they can only ask for more money if the extra charge is based on factual or statistical data, or there are other factors which mean that a disability puts someone at a higher risk (Equality Act 2010). You can look for an affordable insurance policy through a price comparison site like Confused.com, or you can go directly to specialist providers that offer cover specifically for drivers that have a disability. Some insurers may want to speak to you to learn more about your ASD. This is so that they can understand your requirements and any vehicle modifications – not to charge you more. Do they offer further discounts on a policy if you hold a Blue Badge? If you have an accident, will they provide a replacement vehicle suitable for your needs? Can a personal assistant or carer be added to your policy as an additional driver? If you decide not to get your own vehicle, you can also get insurance on someone else’s car, such as a friend’s or family member’s. One thing that may help if your ASD involves ritualised behaviour, is keeping a clear step-by-step guide of what to do in the event of an accident in your car. You may want to use the instructions we’ve provided below, or you could rewrite them in a way that suits your understanding best. You may want to speak to your driving instructor so that they can tell you what is classed an accident, and when the actions below would be appropriate. Friends or family members may also be able to advise you on what to expect. Stop your car and switch off the engine. If you’re able to leave your car, be careful when exiting and be aware of other traffic. Try and stay calm, and use whatever anxiety-reducing methods work best for you. Call 999 immediately if you need support, if anyone’s injured, if the collision scene is dangerous, or if someone involved leaves the scene without exchanging their details required by law. NOTE: You may also want to call someone that you know and trust to offer you support e.g. a friend/parent/carer. If you have a mobile phone, take pictures of the accident scene. Remember to note street names, vehicle locations, collision points and any damage. You may also want to write this information down, so keep a notebook and pen in your car. If anyone else is involved in the accident, ask them for their name, address, vehicle registration number, car model, car make, and car colour. You’ll also have to ask any passengers for their contact details (i.e. name, address, telephone number). You must then exchange your details with the other driver(s) – this is a legal requirement. You must provide your name, address, telephone number, and insurance details – you may want to write down your policy number in your step-by-step guide. If the other car involved is parked and its driver isn’t there, you must leave a note with your details on the car – perhaps under the windscreen wiper. You must call your insurance company to notify them of the accident. You should not continue to drive, so either a member of the emergency services or a friend/family member/carer that you’ve called will be able to take you somewhere safe. If you have an anxiety attack it is vital that you’re safe. You may have a coping method that helps your anxiety, but if you don’t and your attacks are more severe, move away from traffic to somewhere safe. When the emergency services arrive at the scene, they’ll be able to help and support you. If there’s anything we haven’t covered here, or you simply need more advice, your GP or therapist may be able to help. You can also try looking up an online forum- there are some fantastic online communities for people that have Autism Spectrum Disorders, and some may be able to offer some advice. Some people may have their own experiences to tell you about, or they may know some other great sources of information that they can refer you to. 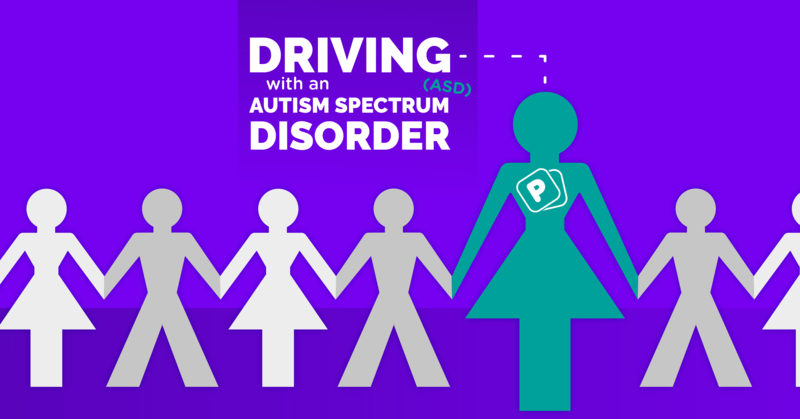 You may even have a group that you go to, or your own circle of friends that can offer some insight into driving with ASD. If you have any tips that you think we’ve missed here then let us know! If you don’t have your own car, you can get temporary cover on someone else’s! Veygo’s Car Sharing Insurance lets you get cover for as little as 1 hour, and for as long as 30 days!